Microsoft has been the addressee for all patent license fees for Android, and Samsung is the largest seller of Android devices in the world. That’s where the conflict arises, it’s been a while since Samsung refused to pay license fees to Microsoft. Microsoft applies a patent fee of $5 on every Android device that Samsung sold – according to a Citigroup analyst. Hence, $1.6 billion dues were expected to be paid by Samsung for its 318 million devices sold in the year 2014 – Numbers by IDC Shipment. On another note, Samsung coined that it had agreed to pay royalties instead of patent licenses to Microsoft in the year 2011. Samsung had also agreed to manufacture windows phone for Microsoft and share secretive business information. All of this was agreed to let Samsung cover its phones that ran Google’s Android OS. According to Microsoft’s estimates, there seems to more than $1 billion of damages. Concerning this issue, Microsoft went to court last year in order to sue Samsung. Until today, there hadn’t been any serious progress with Samsung coming to terms with Microsoft. Where legal courts and institutes have failed, the two tech giants appear to have come to peace on a private arrangement. “Samsung and Microsoft are pleased to announce that they have ended their contract dispute in U.S. court as well as the ICC arbitration. 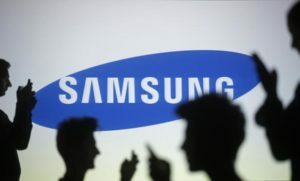 Terms of the agreement are confidential.” – Samsung’s Jaewan Chi, Executive Vice President and Global Legal Affairs & Compliance Team and Microsoft’s David Howard, Corporate Vice President and Deputy General Counsel. However, the terms and conditions that were decided are still unknown. It would be exciting to see the impacts on other android device manufacturers who are still at the stage of clearing their dues. How long do you guys think Microsoft would keep collecting patent fees from Android Technology? And will others continue to pay tribute to Redmond? Let us know what you think in the comments section. Ubuntu OS To Invade Mobile Platform, Will You Give It A Shot?